Bleeding disorders and thrombosis are defects of the hemostatic system that often require therapeutic intervention with human plasma proteins. Several thereof, including coagulation factor VIII and tissue-type plasminogen activator, are low abundance proteins, which limits their availability for pharmaceutical production from human blood. In the early 1980s, the advent of biotechnology provided the perspective of unlimited access to such trace proteins, and plasminogen activator and factor VIII were among the first recombinant protein therapeutics that became available. The complexity of the hemostatic proteins have posed specific challenges with respect to post-translational modification and processing, and this has long been limiting their biotechnological development. More than a decade after the first recombinant coagulation factors, a few more became available, including factor IX and activated factor VII. The first generation of these recombinant products was designed to provide exact copies of their natural, human counterparts. Subsequent generations included engineered variants, with deletions or substitutions in order to improve expression, product safety or biological activity. During the last decade, the number of recombinant products has been rapidly increasing. The latest generation comprises more drastic modifications, including fusion proteins designed to improve pharmacokinetics. These novel agents pose new challenges in terms of dosage and patient monitoring. This makes protocols for individualized treatment complex, and more importantly, product-specific. 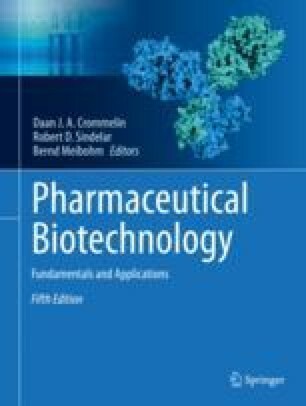 The present chapter provides an overview of recombinant coagulation factors and thrombolytic agents that are currently licensed, with particular reference to the benefits and challenges using engineered biopharmaceuticals in this field.